Here’s a long awaited update to the Chuppah-Cabra. 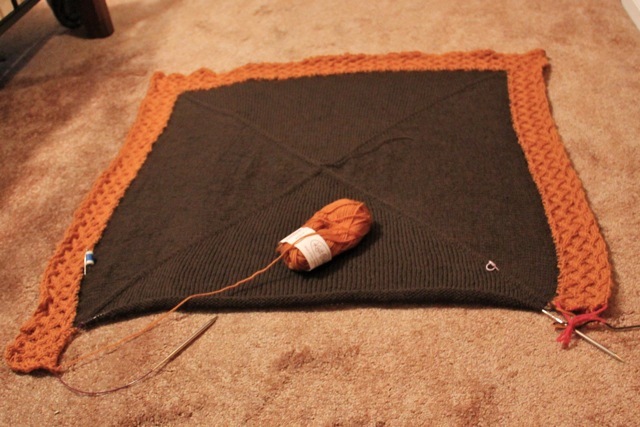 I’m almost done with the first border of the Yggdrasil Blanket Chuppah. It’s about baby blanket size now. almost done with the first border. I was inspired by Austin Kleon’s Get Yourself A Calendar post. Everytime I finish a ball of yarn, I got to mark it down. 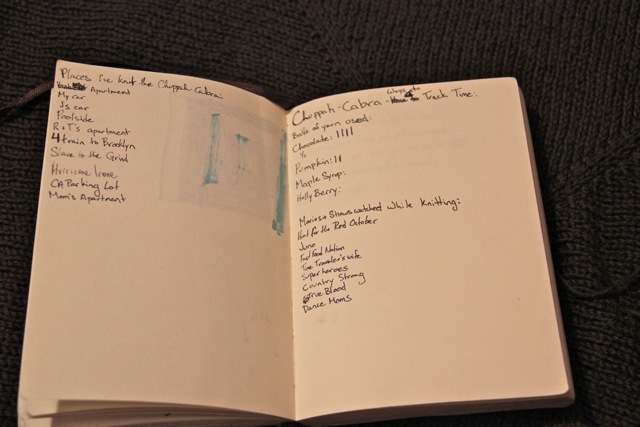 Then I realized that I was taking the Chuppah-Cabra everywhere with me, so I decided to keep track of that too. Favorite place so far? The 4 train from Woodlawn to Brooklyn. Cabling on a jostling subway train is quite challenging. I gave up trying to knit once we had to stand. If you don’t already know Austin Kleon, he wrote How To Steal Like An Artist, which is a great read for anyone in need of a inspiration and a reminder of why we do what we do. Speaking of cabling, I lost my cable needle in R&T’s couch. I’ve done the last 10 repeats without it, and I think my knitting time has improved due to that. 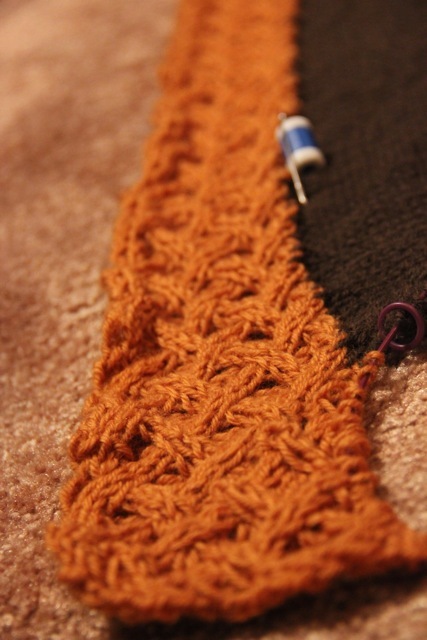 My goal is to finish the orange border and cast on the next chocolate brown border this week. 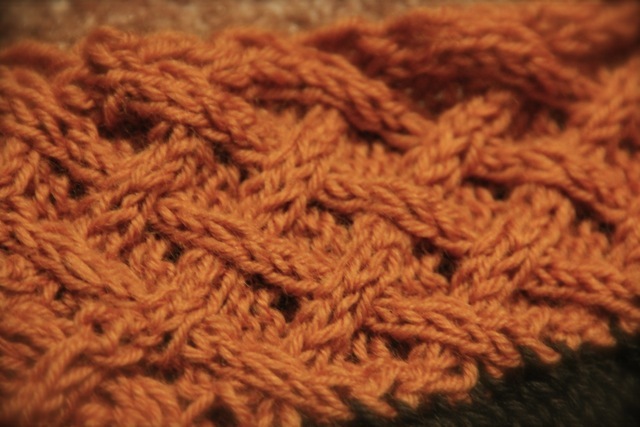 So far I have three out of ten repeats done on the last side of the orange border. I got a major boost of encouragement from seeing Alana and Rebecca at their wedding shower/party last night. They’re so excited about their chuppah that it rubbed off on me too!